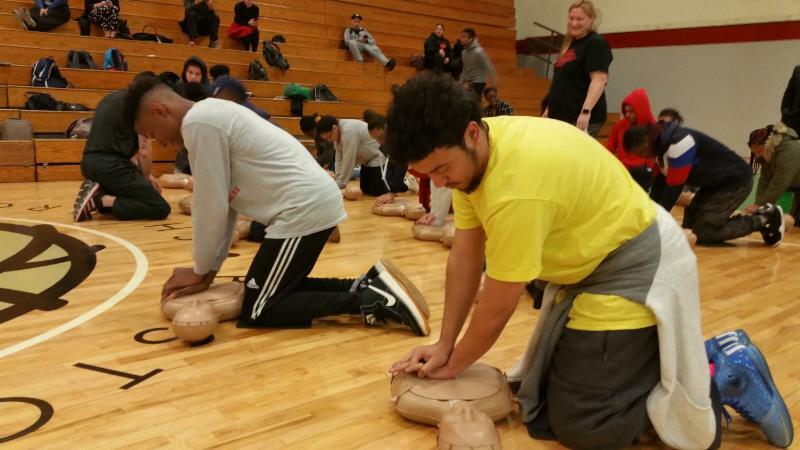 BOSTON — Thursday, Nov. 16, 2017 — The American Heart Association (AHA) today recognized the Boston Public Schools (BPS) for its implementing “Hands-Only CPR” curriculum for the district’s nearly 17,000 high school students during an event at Madison Park Technical Vocational High School where a physical-education class received a 30-minute training session in the lifesaving skills. 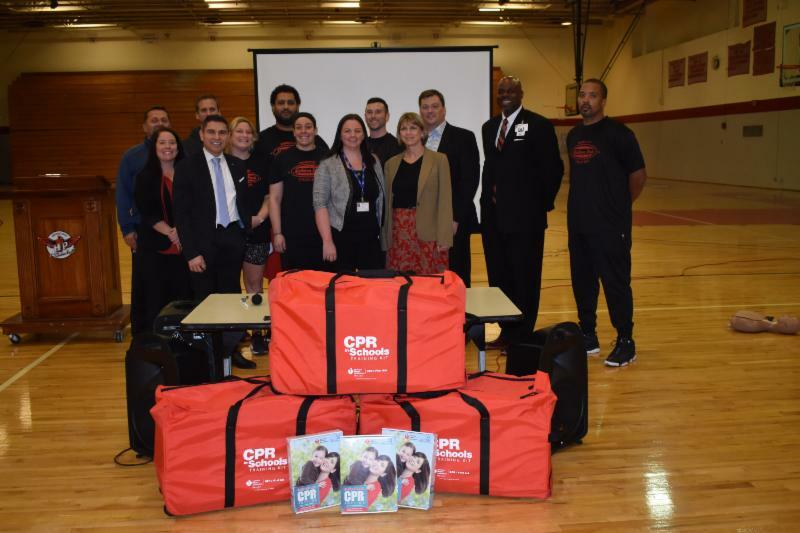 The AHA, through funding provided by the Amos Fleischer Foundation, Bruins Foundation, ARC Light and PriceWaterhouseCoopers, is providing BPS a total of 47 CPR-In-School Bags and 280 CPR Anytime Kits to be used to train students and other members of their school communities. The training bags and kits, which include “MiniAnne” CPR mannequins and instructional DVDs, are valued at more than $41,000. All BPS 9-12th grade students, as well as some 8th grade students, will be trained annually in CPR during physical-education class as part of their school’s health and fitness curriculum. To date 45 teachers at 25 schools have already received training and kits. According to the AHA, more than 326,000 people experience cardiac arrest outside of a hospital each year, and about 90 percent of those victims die, often because bystanders don’t know how to start CPR or are afraid they’ll do something wrong. CPR, especially if performed immediately, can double or triple a cardiac arrest victim’s chance of survival. Hands-Only CPR, recommended for use on teens and adults, requires less training than conventional CPR (with mouth-to-mouth breaths) and has been shown to be as effective as conventional CPR in the first few minutes of a sudden, out-of-hospital cardiac arrest.